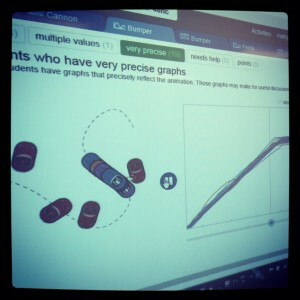 When I learned about Function Carnival from Dan Meyer’s blog last school year, I first tried it with students on a wacky-schedule day during a unit that didn’t connect well to the fabulous Desmos lab. 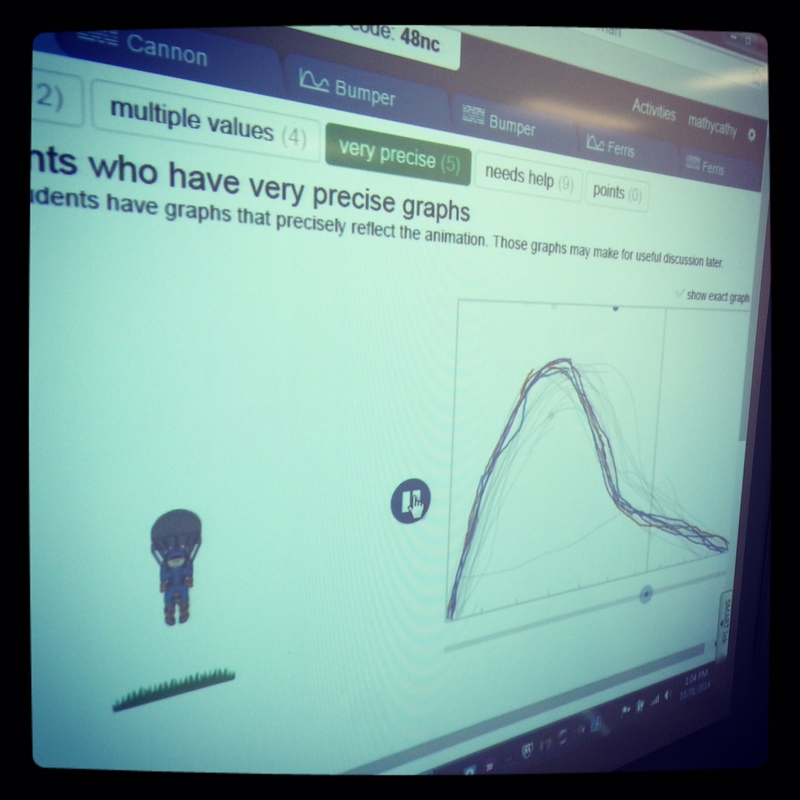 In that first instance, students’ sought to “break” the carnival rather than graph accurately. I hadn’t anticipated that when I had compliantly walked through the carnival myself to prepare for the lesson. I learned a lot from my first Function Carnival attempt, and I hope to share several simple strategies that worked well during my second lap through the Carnival with students this past week. 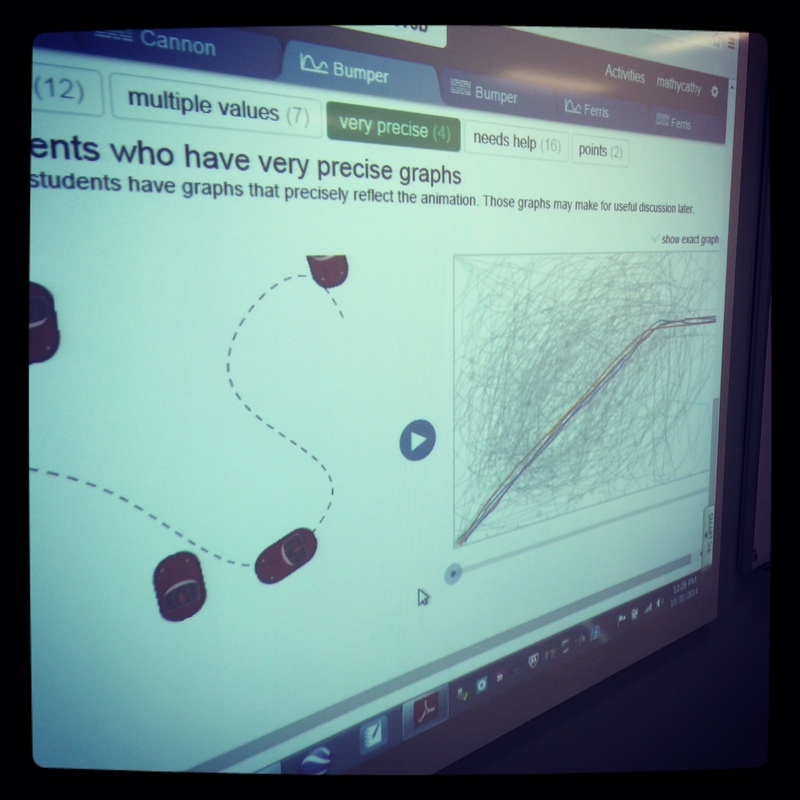 If you haven’t tried this lab with students, please read these detailed notes from Desmos, then consider these additional tips from a classroom that’s been there. They’re not being bad, they just want to play. This time, Function Carnival showed up right on time. Concepts like discrete and continuous graphs, graphs over time, and whether or not a graph is a function were current and relevant. Also, I knew students would seek to break it. Any time students try a new tool, we simply have to allow for some play time. 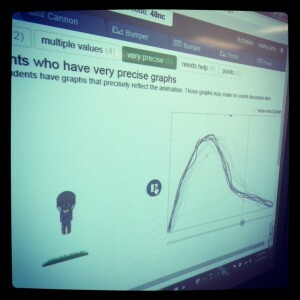 Starting with the Cannon Man graphs, talk about what their scribbles mean. Showcase one or two gross graphs for the class to see. Even consider “select all” and play the beautiful mess, talking about how amazing it is to see “not a function” in motion. Shift your attention to “gamify” the experience. I try to move on to Bumper Cars, but if students still have not earned “very precise” they do NOT want to move on just yet. At this point when pacing begins to individualize a bit more, I stop displaying the big screen for a time. After students have had some time to further adjust Cannon Man, or work through why their squiggly graph does not match the green bumper car 🙂 I display the class screen and click on “very precise” to see who earned their badge. The excitement grows as more and more kids have earned this prized label. I showcase a few graphs, even playing all “very precise” graphs simultaneously… and on we go to the Ferris Wheel. Thank you Desmos for providing these amazing filters! Though they appear on the teacher view, I think the students value the feedback just as much. This entry was posted in Algebra 1, Pre-Algebra and tagged Algebra, Dan Meyer, Desmos, error analysis, iPad, Pre-Algebra. Bookmark the permalink. 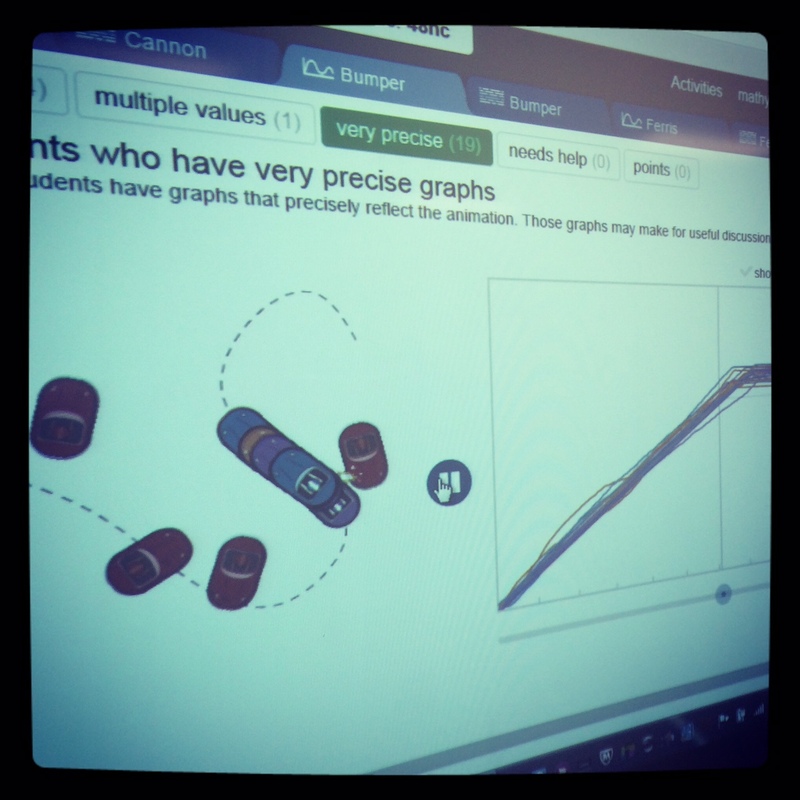 Love that about desmos! Self correction is so powerful! That’s what is great about WaterLine too! Great addition to show the dashboard! Adds a whole new aspect..sometimes we are hesitant on showing that dashboard to all. Love this!! Thanks for stopping by Jon! All the great feedback technology provides for teachers can also empower our learners to think about their own thinking too. I don’t like to keep all of that valuable data to myself. Agreed on WaterLine! I adore “the cupboard” feature! So creative!